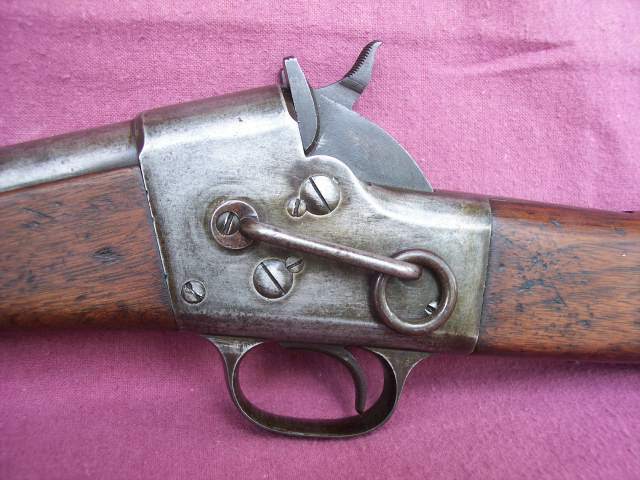 Patented 1864 this is known as the Split Breech or Remington-Rider Civil War Carbine. 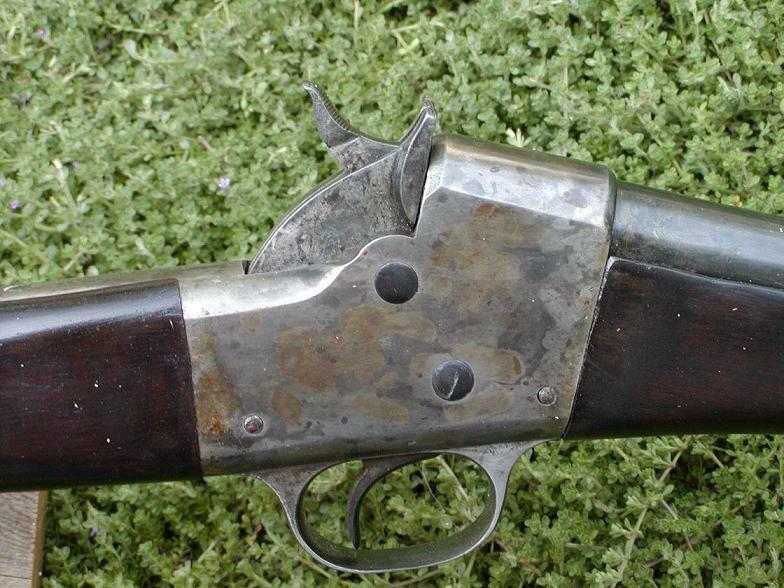 It is the predecessor to the Rolling Block Rifle design. There are apparently two different size carbine that were produced. The one photographed here is the civil war carbine not the smaller variety. The other type has four screws located on the left side of the rear portion of the receiver near the wrist in a square pattern. There seems to be some discrepancy regarding the number of units manufactured. In any event the numbers are not large. Most of the carbines sold to the US military were later repurchased by Remington and sold to France. The surviving examples are usually not in very good condition..